With over 30 years' experience, we know how to produce and deliver large format advertising to work effectively for you. Whether you are looking for hoardings, vehicle wraps or window graphics we’ve got it covered. Working for clients throughout the UK, across the advertising media, construction signage, house building, commercial signage and taxi branding industries, we utilise our years of unrivalled signage design and vehicle advertising experience and expertise to provide timely, cost effective and great quality branding solutions. As one of the country's leading print and graphics specialists; we have the latest large format digital print technologies, HP Scitex 11000 and HP latex 3000 roll to roll machines; supported by a thorough print finishing department with a Kongsberg cutting table. 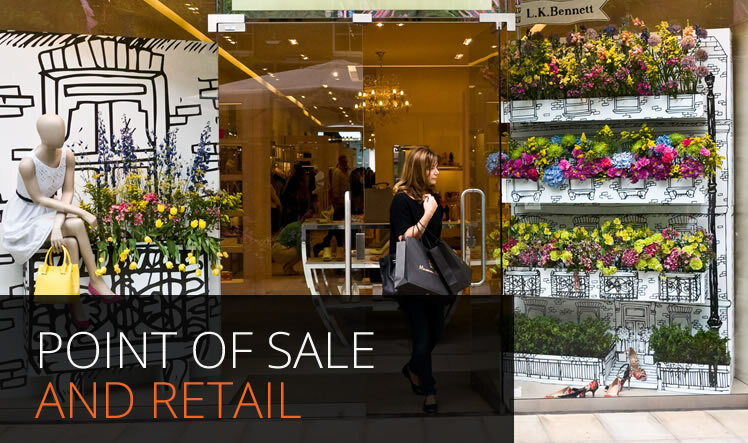 As a sign design company, we are able to produce a range of products from pop up displays and point of sale items to window graphics, sport and event signage, television graphics and scaffold banners. Call us today on 01634 668901 to discuss your requirements and arrange your FREE no obligation quotation with one of our helpful and friendly team. 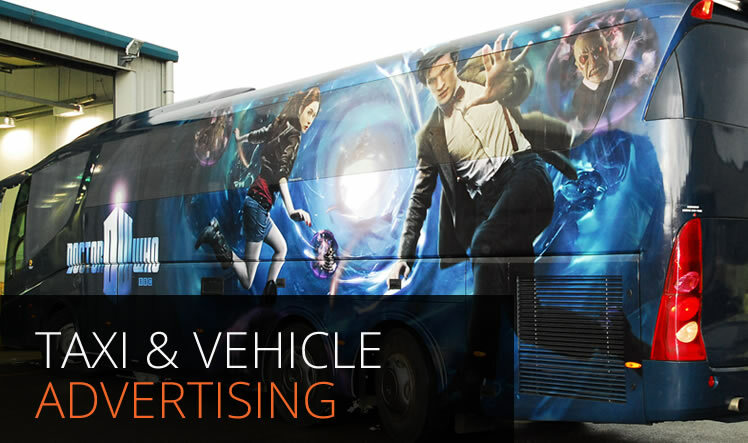 We specialise in providing the best vehicle advertising, site hoarding graphics and retail graphics to the highest quality so you are assured to receive the best service. Our team will provide you with all the information you need on our range of services, be it building wraps, window graphics or signage design. All production is carried out in-house, giving us the versatility to manage your project professionally from start to finish and our extensively experienced and specialised signage design team work to incredibly high standards to ensure a perfect finish. We have a wide range of services, encompassing building and vehicle wraps and window graphics which are professionally created to have a fantastic result that meets your expectations. As one of the country's leading graphic and print solutions specialists we have worked with a wide variety of clients over the years, including new home developers, advertising agencies, high-end fashion retailers and vehicle branding companies. This has given us unrivalled experience and expertise as a sign design company in understanding what a client needs and expects from its advertising. 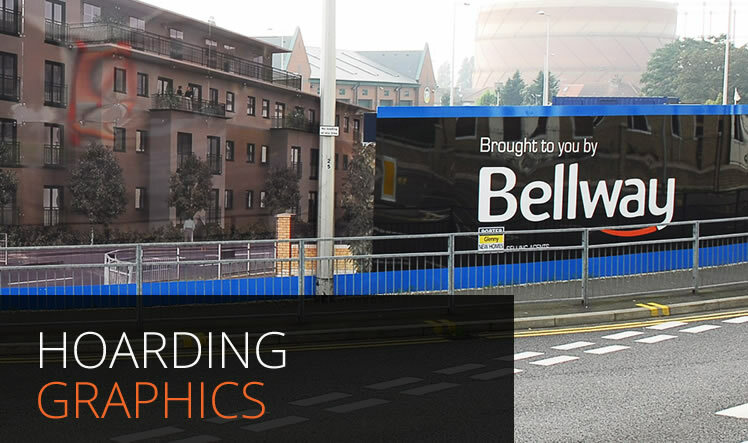 Based in Kent, we print and produce graphic solutions for housing developers, retailers and commercial clients across Kent, Essex, Northampton, London and the South East of England. Many of our repeat clients are based in London, Birmingham, Bristol, Guildford, Colchester, Croydon, Oxford, Windsor, Leicester, Cambridge and Nottingham. More information about our company and range of services can be found on the about, point of sale and retail, taxi and vehicle advertising, construction signage, new home developer signage and hoarding graphics pages of this website. Of course, we welcome enquiries at any time and our friendly team will be more than happy to answer any questions you may have. Contact us today to discuss your requirements with our experts in vehicle wraps, window graphics and building wraps and arrange your free no obligation quotation. Call us today on 01634 668901 to discuss your requirements and arrange your FREE no obligation quotation with one of our helpful and friendly team. We are member of the Supply Chain School which tackles the environmental and social sustainability issues. We strive to responsibly source to create sustainable products while keeping competitive prices. Based in Kent, we tailor design, print and build print and graphic solutions for housing developers, retailers and commercial clients across Kent, Essex, Norfolk, London and the South East of England. Many of our repeat clients are based in Canterbury, Maidstone, Bristol, Birmingham, London, Southampton, Portsmouth, Colchester, Oxford, Gloucester, Stevenage, Chelmsford, Orpington and Brighton. Of course, we welcome enquiries at any time and our friendly team will be more than happy to answer any questions you may have. Contact us today to discuss your requirements and arrange your free no obligation quotation.